Meet Magento Brasil Magento, E-commerce sem limites: Estratégias, novidades e posicionamento da plataforma mais flexível e escalável do mundo! 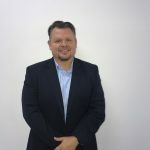 Julio Charpentier | Head of Sales - Latin America — Magento Inc.
We will share with the congressmen the strategies, news and positioning of Magento in Brazil and in the world. We will present the platform numbers and how Magento encompasses a comprehensive digital commerce landscape with solutions that address this global scenario as a whole.